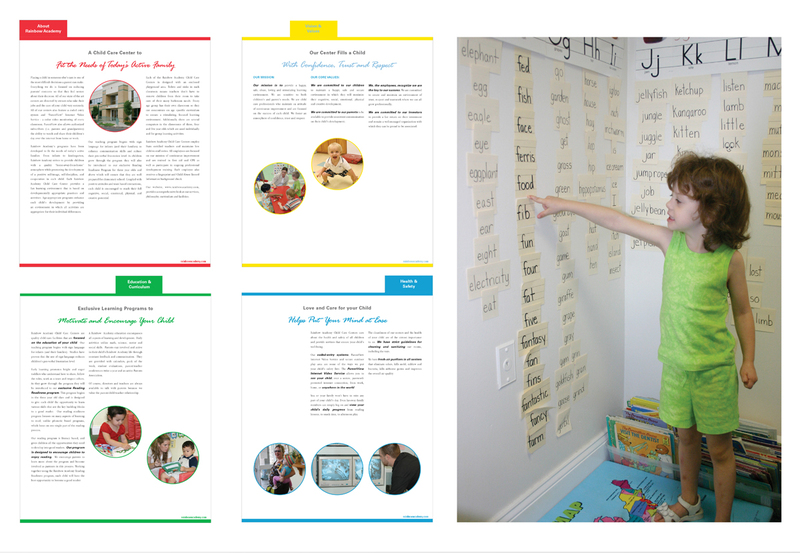 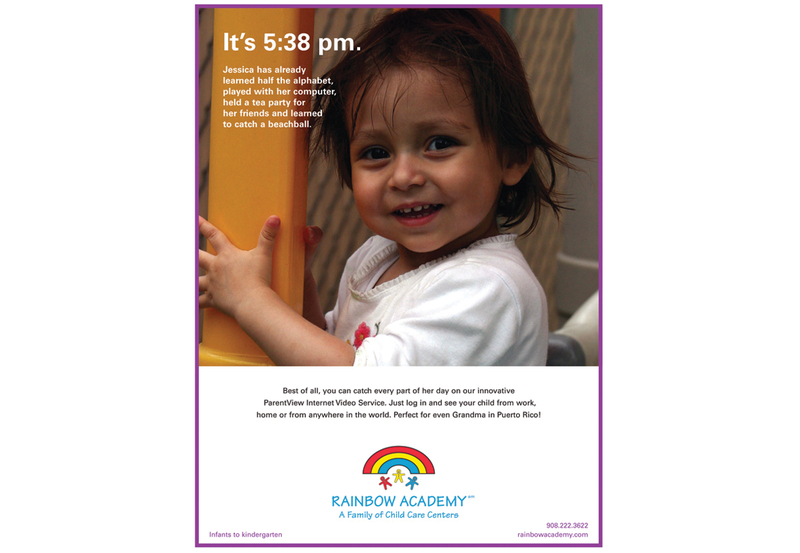 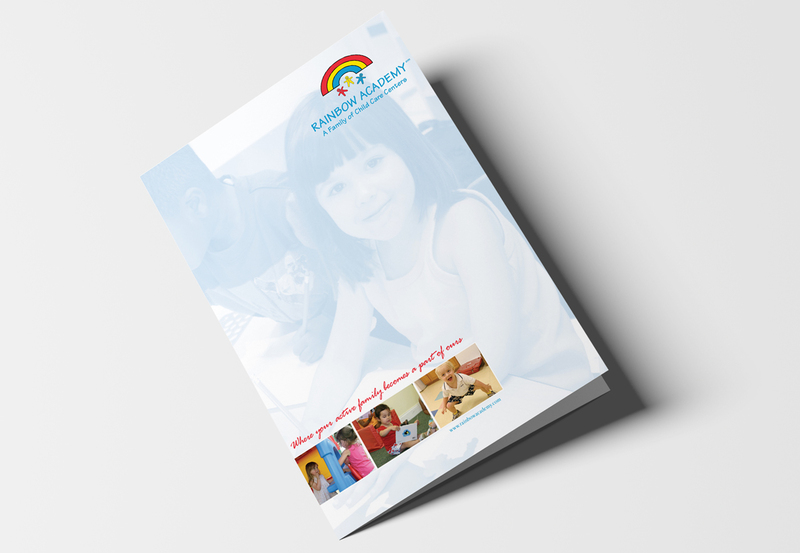 The Rainbow Academy creates a safe, trusted day care haven for children. 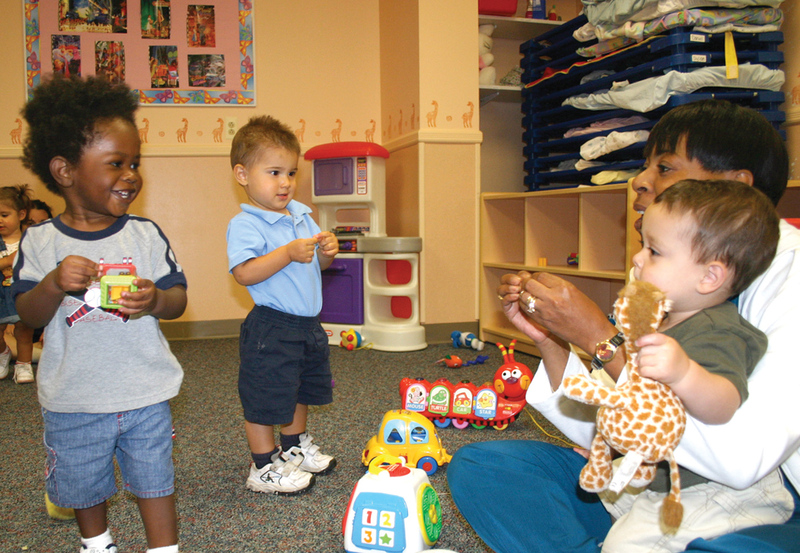 Parents can count on a nurturing staff, quality educational programs, and technology solutions that enhance a child’s development during the day while they are away at work. 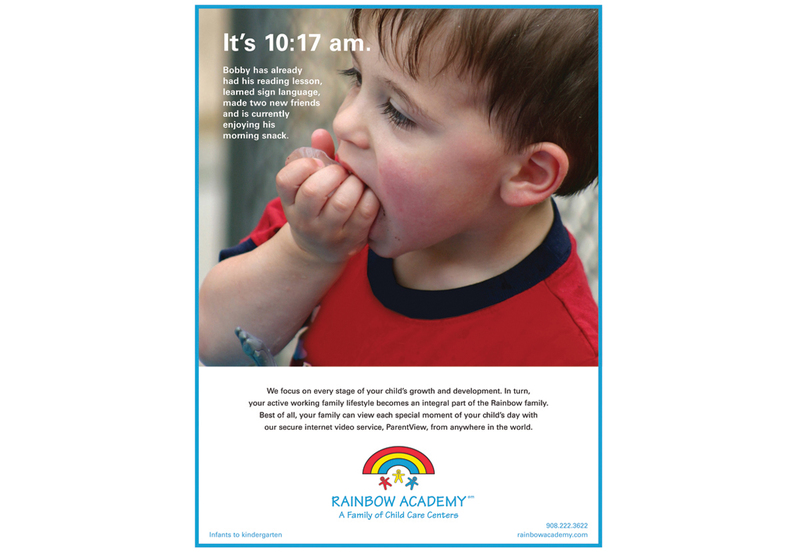 Our graphics put a parent at ease.